Lapis Lazuli is a stunningly beautiful stone, known by the Ancient Egyptians as "The Stone of Heaven''. It is a strikingly intense royal blue colour with golden flecks of pyrite. 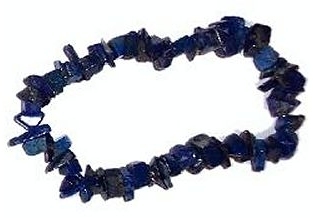 Lapis Lazuli has been the most coveted rock since 3500 BC. be beneficial to the respiratory system. be helpful in epilepsy and sleeplessness. cure gallstones and stomach pains. strengthen the body during spiritual awakening and help to open the third eye. protect against psychic attack and depression.